In my role as a college professor, I have often been frustrated that students don't read their assignments for classes. I am convinced that the problem is in the way that academics write textbooks. They are rarely (if ever) written in ways that engage students’ attention. Then, one day when I was having this discussion with some upper level students, I impulsively asked them what they enjoyed reading, if not the “boring” textbooks. Most admitted to me that they didn’t enjoy reading—and that they simply didn’t read—at all. I was completely stunned. I just assumed that everyone read something, at least sometimes. 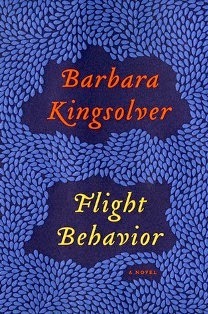 Barbara Kingsolver: For giving us a new appreciation for our land, our food, and the reality of climate change, difficult though it may be to think about: Animal, Vegetable, Miracle and Flight Behavior. J.K. Rowling: For reminding us that being young is not always easy, that it takes courage, and that it is sometimes a great adventure. The entire Harry Potter Series. Dan Brown: For challenging our perceptions about what we believe and what is possible: The DaVinci Code and all the Robert Langdon adventures. Stephen King: For taking on the subjects of childhood trauma, the courage to do the right thing, and the power of our connection to others: It, The Shining, and Bag of Bones. Joseph Heller: For reminding us of the absurdity of war: Catch-22. Gabriel García: For telling us a story about colonialism, political unrest, and the human condition in such a magical way: One Hundred Years of Solitude. Mark Twain: For telling us the truth about who we are, as human beings, every time he put pen to paper: Tom Sawyer, Huckleberry Finn, and Letters from the Earth. Among so many others. What have you learned from your favorite storytellers? I've learned from such authors as Debbie Macomber, Susan Wiggs, and Cheryl Woods that life isn't always what you want it to be, and that's kind of the theme of my new poetry book, due out sometime this fall from Finishing Line Press. I am reading The Little White Horse to my two sons ages 13 and 11. This is a renown children's book written in the 1940's and my children are wondering where all the action is! I blame this culture's need for immediate gratification and the technology that provides it to all of us 24/7. Reading is one of the great pleasures of my life and I have learned so many things as a result. I do hope my children like to read, but there are so many other things to distract them. Thank you for the post, it's interesting to read your perspective as a professor.